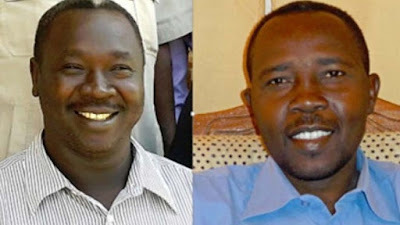 Lord, today we pray for the trial of Pastors Abdulraheem Kodi and Kuwa Shamal Abu Zumam, who are being charged in Sudan with espionage, war against the state, etc. Lord, we ask for mercy. We ask for truth to prevail. We do not want these men to be executed for their faith. We also pray for Czech pastor Petr Jasek and Darfuri human rights activist Abduelmoneim Abdulmwlla, who are being detained under similar charges. Lord, it grieves us when governments hunt down and harass people because of their faith. Please glorify yourself in the midst of this ugliness. Please give these men great courage and peace as they stand for you in this legal maelstrom. Please rally support around their families, including Zumam’s seven children, as they face the possibility of losing their father/husband/son/brother. Lord, make your presence known throughout this entire process. And compel people to act, pray and speak out. In Jesus’ name we pray, amen. Update and specifics on the Christian relief worker also on trial: http://www.persecution.com/public/newsroom.aspx?story_ID=%3d383233&source=EM1609PJ. Encouraging update, but prayer still needed: http://www.christianitytoday.com/gleanings/2017/february/sudan-frees-czech-missionary-imprisoned-for-life-petr-jasek.html.